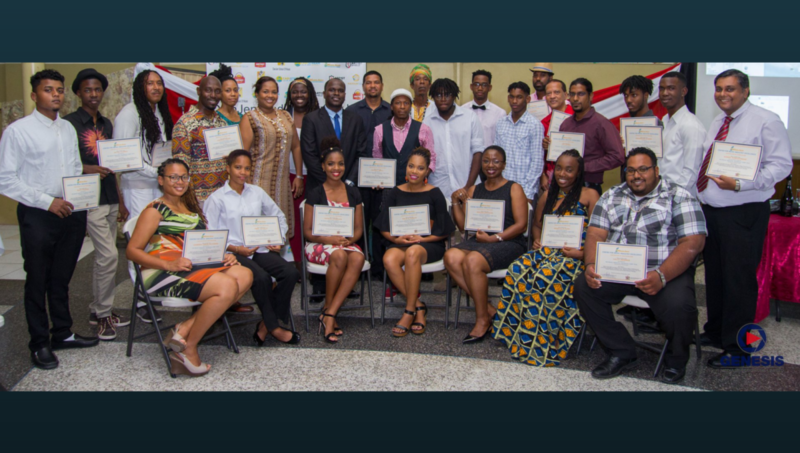 Thirty seven (37) participants recently graduated from the Music Industry Technical Camp 2018- a partnership between DianJen and The Ministry of Community Development, Culture and the Arts in Trinidad and Tobago. The programme which began on July 28th 2018 ended with a Graduation and Final Showing Ceremony on Sunday 2nd September at The X-Clusiv Resort, Gasparillo. Now in its 5th year the Music Industry Technical Camp is an intensive 6- week training programme for music industry professionals. The only programme of its kind in Trinidad and Tobago and the CARICOM region, the programme delivered global industry standard music management and production training to upcoming Singers, Songwriters, Managers and Producers that are desirous of pursuing careers in the Music Industry. Participants engaged in Music Business and production studies. Specific areas included: Managing Music Businesses which focused on: Music Copyright Law and the role of collective management organisations, digital music distribution models, strategy and markets, music licensing and publishing and artist management among others. 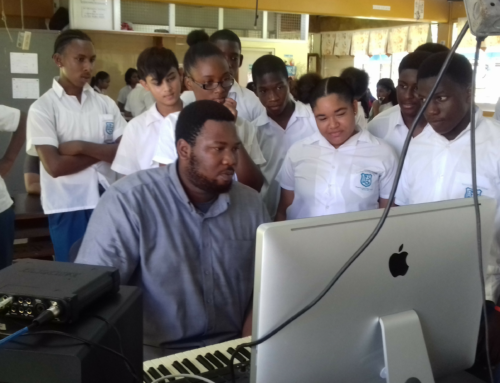 In addition to this, participants benefitted from sessions on Neighbouring Rights, facilitated by, Fabien Alfonso and award winning songwriter, Christopher Morris led two sessions on Songwriting, which was geared towards improving writing skills and confidence among participants. They then partook in sessions on Music Industry Publicity by Ms. Adanna Asson and expert sessions on Mixing and Mastering conducted by Mr. Darrell Bereaux. The mixing and mastering sessions were geared towards equipping producers with limited budgets with the skill set required to improve their recordings in the home studio environment, by supplementing their current knowledge with the relevant theory and practice. The sessions entailed explorations of: recording and production, mixing and mastering techniques; using industry standard applications such as Logic Pro. 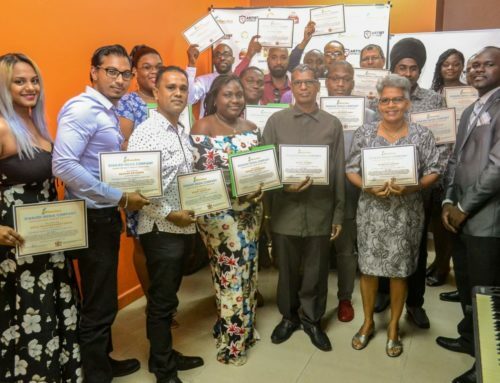 As part of this training participants wrote and produced a single titled, It’s Carifesta- in preparation for hosting the Festival in Trinidad and Tobago in 2019. The single will be made available digitally and distributed around the world in the near future. In his welcome remarks DianJen CEO, Farley J. Joseph highlighted the company’s awareness of the need to discharge one of its priority goals which is to provide cutting edge training in the Business and Technology aspects of music. The company envisions a Trinidad and Tobago and by extension a Caribbean music industry that is self-sustaining and highly developed, one where various agents, namely singers, songwriters, producers and managers are highly technically skilled and there is co-operation among professionals within the various islands. For this to take place participants must be highly skilled in engaging with Music Business matters therefore justifying the need for this initiative. Upcoming programmes at DianJen include: the Producing the Record- Sound Recording and Music Production Programme , as well as the Online Course in Music Business, which both begin on Oct 1st 2018.